#Medutainment and Emergency Medicine. Part 1. What is it and where did it come from? This blog is based on a talk I am giving in Turn, Italy, at the European Society of Emergency Medicine annual congress. This will be the third EuSEM meeting I’ve been to and if you haven’t made it yourself I would strongly recommend that you try. Although emergency medicine has many different styles and models we all see the same sorts of patients so you will find a like-minded group of emergency physicians and resuscitationists who are keen to improve the care of the injured and unwell. I have been asked to speak on the subject of Medutainment and whether it is the way to teach medical education. First up, I think that’s probably the wrong title as to say that it’s the only way to teach medical education is wrong. It can never be THE way, but is it ‘A’ way, and is that way worth pursuing and embracing? It’s probably worth putting my stall out early and saying yes. I’m not impartial here and I’ve been an advocate of generating interest, excitement and engagement in education for may years. I am biased, and I want to tell you why that is. Firstly though, what is #Medutainment. It is a term that simply style of education that blends Medicine, Education and Entertainment. The hashtag (#) is just there for twitterers 😉 , and of course this applies to all clinicians so we could have #Nedutainment for nurses, #Pedutainment for paramedics and #Cedutainment for all clinicians, but that would be silly. Let’s just call it #Medutainment for everyone. I believe #Medutainment is when educators work hard to engage with an audience in a way that both educates and entertains effectively. I’m not simply talking about Las Vegas style shows or entertainment activities that parallel educational activities (though they are often fun). This is about embracing the principles of education and entertainment in the same package. Most importantly this is not a review of activities like #foamaoke (Ed – but I love #foamaoke). The term predates this having first been used to describe how health messages were delivered to the wider public. Public health physicians and governments have long recognized that to get messages heard it is essential to engage with the consumer, to entertain and to inspire. Few people want to hear messages about healthy living unless there is something there that entices, engages and holds the attention of the audience. You can no doubt think back to your youth and recall advertising campaigns and TV shows that try to change behaviours through entertainment and engagement. In the UK a wide range of programs are used to educate and inform across a range of ages and media. We have been lucky enough to be involved in many programs relating to the children’s hospital in Manchester aimed at engaging with a young audience (and their parents) to promote healthy lifestyles and to further understanding of the human body. Even preschool children and their parents (some of whom are doctors) get in in the act with notable examples such as operation ourch and get well soon. In the UK Dr Ranj, who is himself an EM doctor and a top chap, works part time as a children’s TV presenter entertaining educating pre school children on health and illness. Of course their parents also get the messages which is also really important. I’ve been lucky enough to be involved in other TV shows aimed at older age groups but which similarly tackle issues of pathology, injury prevention and therapy in a way that both informs and educates. We know these public facing shows have influence. My favourite example is when we showed the use of LAT gel in the ED. LAT gel is used to anaesthetize wounds and has been around for decades yet it was rarely used in the UK. After one show on a Friday night we received many phone calls to find out the who, what where and why. As a direct result we now know that UK departments are now using this in paediatric laceration repair. Of course, these are by products to what were essentially entertainment programs, but medutainment can be more serious than that. Formal programs have existed such as in Malawi where a radio show ‘Tisankhenji’ was developed to promote aspiration, self awareness and HIV prevention amongst young girls with some success. The impact of these interventions has been studied and it appear to work. Similarly in Eastern Asia medical entertainment programs are used in public health to entertain and inform the public about what their health concerns are and what to do about them. This show, ‘the symptom’ is a Thai based program that pitches junior clinicians in their attempts to make a diagnosis, but by doing so bring medical education to the masses. Nor is the concept of blending education with entertainment new. We have always associated the ability to present ideas as important in medicine. Let’s take ourselves back to something as fundamental as the ECG. 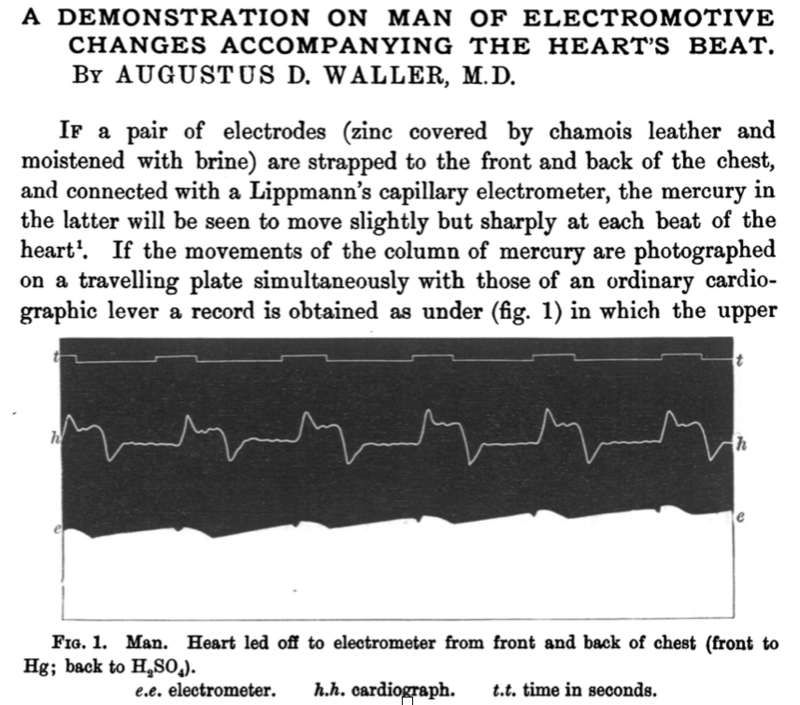 The history of the ECG for example is a great discovery and a fabulous introduction to how showmanship and science combine to promote and engage an audience. Augustus Waller was the first person to record an ECG on a human at St Mary’s hospital in London using a capillary electrometer back in 1887. Obviously this was published and shared, but it was also demonstrated and shown widely, but not in the way that you might think. 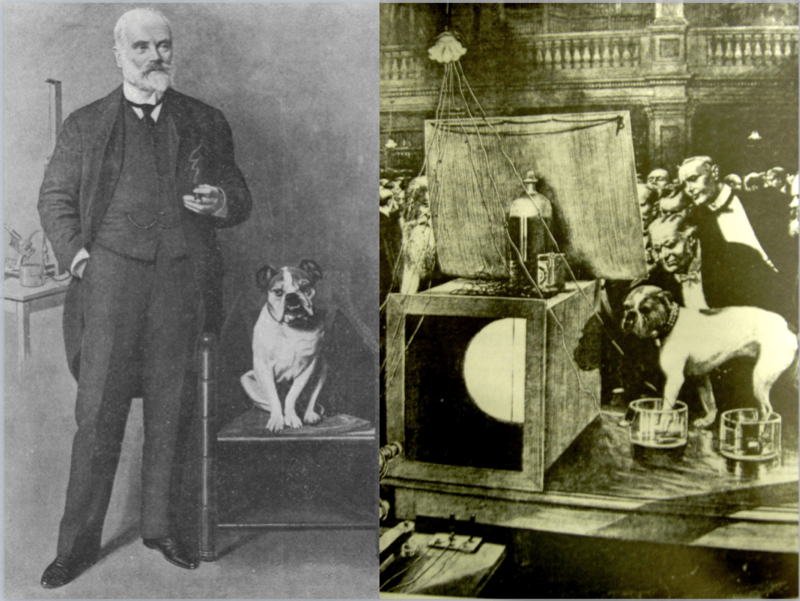 Waller trained his dog, Jimmy, to stand still and be recorded promoting this as a spectacle. It’s the sort og thing that generates comment and controversy. Develops a conversation and opens opportunity to keep the dialogue going. We can see this through the historical record as with these comments read from an MP who attended a demonstration. That level of publicity as a result of producing an entertaining spectacle is a clearly a major bonus in developing ideas, of getting a message across and in promoting knowledge transfer. We can think a little of how this works from an entertainment perspective too. 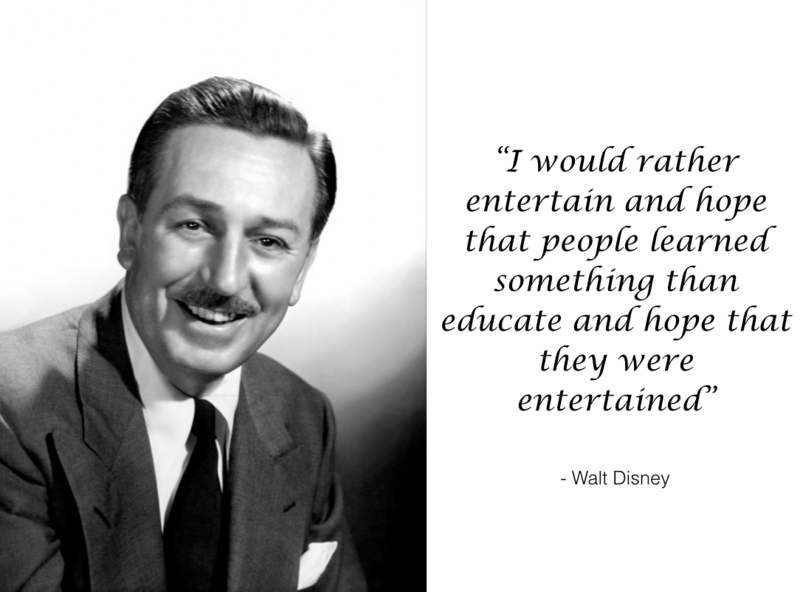 Walt Disney is no stranger to the world of entertainment and he clearly did very well entertaining generations of children and adults. His company also produced many films to promote public health using characters that will be familiar to us all. Back then it was a little controversial and there were critics that suggested that serious subjects shouldnot be dumbed down into cartoons and pictures. Walt’s answer tells us much about the human psyche. So #Medutainment is a blend of medicine, education and entertainment, it has probably existed since the birth of medical innovation and although originally aimed at the public through public health there are also historical examples within medicine. The bottom line is that we have been immersed in forms of medical entertainment for as long as there has been medicine and entertainment. However, in the 21st century our access to media and entertainment has never been greater and that, together with the differences in how we practice medicine are changing how we need to present education to our trainees. Part 1: What is #Medutainment? Part 2: Why are we talking about #Medutainment now? Part 3: How do we develop our #Medutainment skills, and what are the risks? Previous: Previous post: JC: The last breath for apnoeic oxygenation? Next: Next post: #Medutainment and Emergency Medicine. Part 2. Why are we talking about it? As long as the two don’t get confused and that in the process of being entertained, the student thought they had been educated. I love this concept, I am both passionate about EM and teaching, in my second year as a teaching fellow at Royal Derby Hospital and ST5 (on the side!). I teach mosylt medical students and am especially inspired by their enthusiasm and energy they bring, which should be tapped and encourage I feel. Always good to catch up on some St Emlyn’s, thanks Simon et al.